Way to miss the big picture. 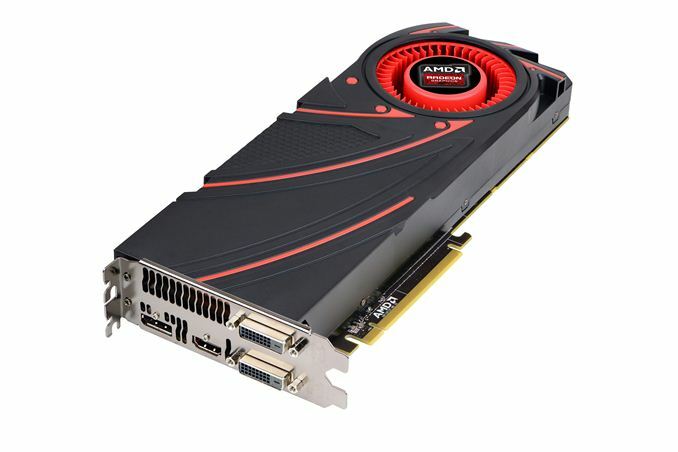 The combined market share of the R290, and the 780 and/or Titan, is a rounding error away from zero. The competitive differences between them will affect at most a tiny slice of the PC user base, and any competitive rankings today will be obsolete within 6 months if not 3. All of that is small beans. The larger issue, which will endure for much longer, and will apply to much more mainstream products affecting much greater numbers of users, is the rules of engagement between the tech press and the manufacturer. No one has yet responded to my original question, which was to name another example where the tech press accepted such one sided rules. I believe AMD's PR operation broke new ground today. They got away with it first, but now that precedent has been set they surely won't be the last. Nvidia will of course respond in kind, but the bigger picture is so will other manufacturers in other product categories. You guys going hypotheticals and fantasizing "What-Ifs" = trying so very hard to make something out of nothing. Lots of Q?, "Maybe", "Assume", "Say...", "Titanic" (so sad, it sunk), "Imagine", "Implies", etc. *According to you, the publishing of this 1 preview = doomed all journalistic integrity at this site and all over the Internet. "The combined market share of the R290, "
"All of that is small beans." So, you are not OK with this site and many other (as they also published the same preview). I could answer those nits but I don't want to distract from my main contention, still unanswered. I believe that AMD broke new ground by placing such tight conditions on what could be discussed in the preview, and the press accepting it. To all those claiming this is not a big deal and simply business as usual, my question stands -- point me to any previous AnandTech (or other similarly respectable site) article that allowed the manufacturer to dictate the content to that extent. I'm aware that sometimes there's just very little data to report period, so see that as a different case; but here, the team had the ability to generate as many data points as desired yet accepted the restriction to use only those of the manufacturer's choosing. 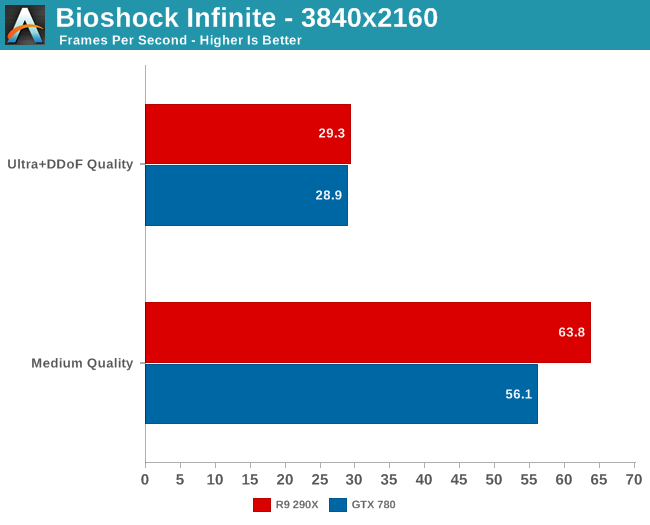 If AMD invited me to their party and told me that I could run benchmarks for just one game on their brand new super double top secret GPU and share those results with the world, I would do exactly that. I would also include the disclaimer that AT did. I don't see the problem. It's labeled as a preview. No different than press events hosted by Intel or NVIDIA, Samsung or Apple. The difference is not having more information vs. accepting restrictions on information you do have. Every reporter faces the challenge of receiving biased, partial information from one sided sources (i.e., a press conference.) Choosing how to evaluate and present that information, and how to complement it with information from other sources, and whether it is ready to run at all, are all basic tasks of journalism.